It seemed appropriate to at least comment on the stock market's extreme volatility this week and how it has affected my own approach to investing and portfolio management. As you all know, and as I write over and over, I am an amateur investor. That means that like many of you who read this blog, I am not trained nor am I licensed to manage anyone's investments, receive compensation from anybody to select investments and time purchases and sales, nor am I as knowledgeable on market information as someone who has passed appropriate licensing boards to reach those levels. But I can share with you my own amateur take of the tremendous stresses being put on us each day and the wild swings of multi-hundred point dimension we are observing. Like a person with a bipolar disorder, the mood swings in the market have been going from severe depression to unbelievable euphoria, and everything in between. If you read my blog entries regularly, you will know that I have taken advantage of the bull market in financials with a trade in Citigroup that netted me some profits on Thursday. I did this outside my regular trading strategy. With somewhat less success, I have been shifting some of my holdings to get out of sectors that appeared to be dragging down my particular holdings. Moves like the correction in the oil market pulled down Lufkin which I sold out of my account. But my overall investment strategy remains intact. I continue to look for companies with what I call quality characteristics--things like steady revenue growth, earnings growth, possibly dividends and dividend growth, stable outstanding shares, positive free cash flow and a solid balance sheet. I like to see companies report results that beat expectations and hopefully find them raising guidance as well. I enjoy finding a stock with reasonable Price/Sales and Return on Equity %'s. And I hope to invest in companies with a stock chart that appears to be continuing to appreciate in price. While that is a lot to ask of an investment, there are so many different potential investments anyhow, and so little of my own money to invest! So why not? I am currently at 5 positions in my own Trading Account (which you can review if you like on my Covestor Page). So while I don't have the foggiest idea about what shall be happening as soon as tomorrow (will the Administration and the Democrats get together in some sort of $700 billion bail-out or will they be symied at this attempt?) I do know that I shall have the directions develop from my own portfolio. I just need to listen and observe closely and I shall know my own next step. Thanks again for visiting and bearing with me! If you have any comments or questions, please feel free to leave them on the blog or email me at bobsadviceforstocks@lycos.com. What a difference a day makes. While just a day or two ago I was contemplating selling everything and going to cash---perhaps in my mattress---today I got back a bit of my usual bravado and tried a 'trade'. The market by the way closed today at 11,019.69, up 410.03, and the Nasdaq was up 100.25 at 2,199.10, and the S&P closed at 1,206.51, up 50.12 on the day. Wow. THAT was quite a bounce. "Sept. 18 (Bloomberg) -- U.S. stocks rallied the most in six years on prospects the government will formulate a ``permanent'' plan to shore up financial markets, while regulators and pension funds took steps to curb bets against banks and brokerages. Traders erupted into cheers on the floor of the New York Stock Exchange as the Dow Jones Industrial Average jumped 617 points from its low of the day after Senator Charles Schumer proposed a new agency to pump capital into financial companies. The Standard & Poor's 500 Index climbed 4.3 percent as 68 companies in the gauge rose more than 10 percent. Wachovia Corp. soared 59 percent, Citigroup Inc. added 19 percent and Bank of America Corp. jumped 12 percent, sending the KBW Bank Index to its biggest gain since July. Morgan Stanley erased a 46 percent tumble and Goldman Sachs Group Inc. recovered most of a 25 percent slide after the nation's three largest pension funds stopped loaning shares of the brokerages to investors betting on their declines." Quite frankly, I thought that the financials were oversold. And that efforts were being made to stabilize their prospects. With this in mind, I took a 1,000 share position in Citigroup (C) at a cost of $14.81. A little more than an hour later, with Citigroup rallying strongly, I went ahead and sold the entire position at $16.86. That was a gain of $2.05 or 13.8% all in an afternoon on that position! I don't think I can easily repeat that trade. Just as much luck as good timing :). In any case, I wanted to share with you my 'unorthodox' move in the context of a disciplined trading portfolio. I guess I am very aware that my performance is 'public' what with my Covestor Page available for perusal. And anything that can add a little bit of zip to my portfolio is something I am looking for. Back to reality for the time being :). I must be very cautious about over concluding anything with my good fortune. Sometimes the worst thing a gambler can have happen to him is to get lucky when he enters a casino. Thanks again for visiting my blog! If you have any comments or questions, please feel free to leave them right on the website or email me at bobsadviceforstocks@lycos.com. I wanted to update all of you readers with a trade that I did yesterday. And yet, even though it conforms to my own strategy of maintaining my 5 position minimum, I am starting to have some buyer's remorse. The market is really ugly this week. As I write, the Dow is trading at 10,724.22, down (334.80), the Nasdaq is at 2,128.48, down (79.42) and the S&P is declining by (44.27) at 1,169.18. Yikes. My good friend Bob S. has been stopping by my blog. He is one of a group of us who frequent Grounded Specialty Coffee in the morning and shoot the bull about the economy, the stock market, politics, and whoever happens to drop by to get a cup of java. And he has been after me about WHY I don't talk about the terrible correction in the market. What is an investor to do? I have little words of advice for my friends. I do believe that as we build portfolios, we should prepare for the worst of world and hope for the best of investments. We should have built into our holdings known exit points, both on 'good' and 'bad' news. I do that. Greif has been an old favorite of mine. I have even owned shares of this stock on and off. Let me very briefly touch on some of the things I do like about this stock. But before I do, let me review my own purchase. Yesterday I purchased 140 shares of Greif (GEF) at $66.104. As I write, I am already, as you might expect, losing money on Greif (GEF) which is trading at $64.27, down $(1.73) or (2.62)% on the day. On a day like this, there are very few places to find a bull market in stocks. Some things I like about Greif (GEF), (even while I do not like the current tone in this plunging market), include the latest quarter announced August 27, 2008, which beat expectations and they raised guidance. 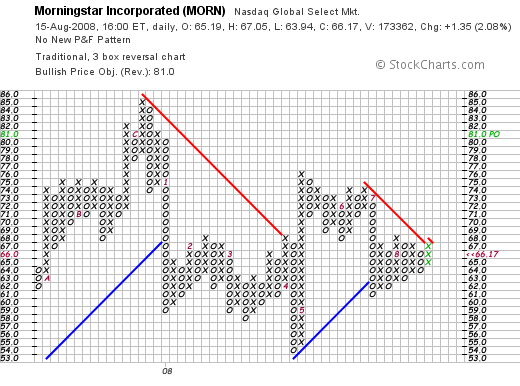 Their '5-Yr Restated' financials from Morningstar.com look terrific. But what about the ENTIRE market. What about the "M" in CAN SLIM? I have been an investor for 41 years now. Seriously. I can remember 1987 without much difficulty. This seems much worse. We really need to go back to 1929 to get to something like this. I might just even sell all of my holdings and take a 'time out'. Seriously. Robbins & Myers (RBN) "Trading Transparency"
I really HATE buying a stock one day and then selling it a few days later. It really stinks. No kidding. On September 11, 2008, just 4 days ago (!) I purchased 210 shares of Robbins & Myers (RBN) at a cost basis of $38.21/share. Today, I sold my 210 shares at $35.0832. That represented a loss of $(3.13)/share or (8.2)% since purchase. As you probably know (!) it was a pretty awful day in the market. The Dow closed down (503.99) to 10,917.51, and oil dropped $(5.47) to $95.71/barrel. I don't like selling my own shares and leaving the rating at a "buy" either. Just doesn't seem right. But I do this if there is nothing what I would call "fundamentally" wrong with the stock. In this case, the stock is trading as an oil-related holding (again like Graham (GHM)), and with the price of oil continuing to break down, there is little reason for me to even leave RBN at a 'hold'. Anyhow, that's my rationale. Above all, remember that I am an amateur! Since I was down at 5 positions, and this puts me at 4, paradoxically this sale actually gives me a "buy signal" since I was at my 'minimum' holding level of 5 positions. I shall wait for something positive in the market and start scanning the lists of top % gainers when that happens. I am not in a hurry. Quality Systems (QSII) and Robbins & Myers (RBN) "Trading Transparency"
One of the strongest stocks in my portfolio the past two months has been Quality Systems (QSII). 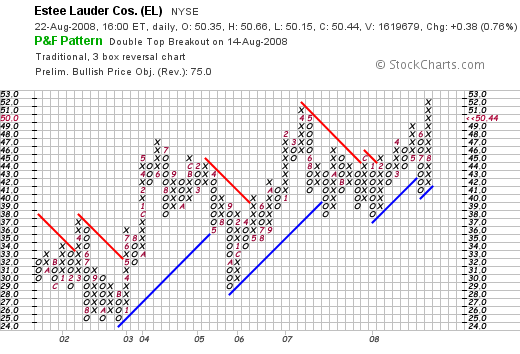 After purchasing this at a cost basis of approximately $38.18 just last month on August 8, 2008, the stock has moved sharply higher. QSII closed today at $44.89, well above my purchase price, but down $(2.15) or (4.57)% on the day. Earlier today, with the market turning higher after a sell-off, I found myself seeing QSII moving sharply lower, lagging the rest of the portfolio. Although the fundamentals remain sound, I am quite aware of my overall performance and my 'followers' over at the Covestor Website, and my desire to continue to tightly monitor my holdings. I went ahead and sold my 182 shares of Quality Systems (QSII) at $45.70/share. As I have just written, these shares were purchased 8/8/08 at an average cost of approximately $38.18. Thus, the sale today represented a gain of $7.52 or 19.7% on these shares in just over a month. I can live with that I guess. But what to do with the proceeds? I really wasn't entitled to 'sit on my hands' and move it to cash. So needing a new position, I checked the list of top % gainers on the NYSE to see what was moving higher today. Checking the list of top % gainers on the NYSE, I came across Robbins & Myers (RBN) which appeared to fit the bill. I purchased 210 shares of RBN at $38.169 earlier today. The stock actually sold off a bit after my purchase and dropped off the list of top % gainers. 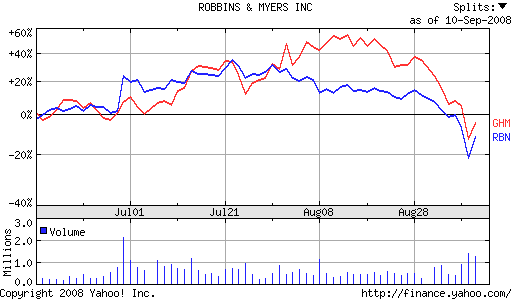 Robbins & Myers (RBN) closed at $37.63, up $2.05 or 5.76% on the day. This was about $.50 below my purchase price. Let me briefly try to share with you my thinking behind this purchase. First of all what exactly does this company do? 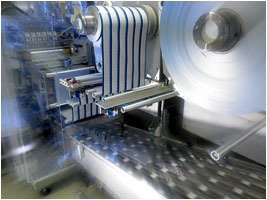 "...and its subsidiaries supply engineered equipment and systems for various applications in energy, industrial, chemical, and pharmaceutical markets worldwide." Perhaps coincidentally, the company sounds a bit familiar with another company that I recently sold--Graham (GHM). Was there any news to explain today's move higher? "BB&T’s investment upgrade helped the stock jump up $4.09 per share to $35.72 during Wednesday afternoon trading. Robbins & Myers (NYSE: RBN) is an industrial equipment maker that had seen its stock raise throughout the summer, to a high of $54.20 per share on July 22, but then plummet to $31.63 as of yesterday." Apparently, the analysts at BB&T Capital Markets felt that the selling had been 'overdone' so they upgraded the stock on valuation and the stock moved higher yesterday and followed through again today. Anyhow, hoping that this bounce would be a bit longer-lasting than 48 hours, I purchased shares. Wish me luck! I certainly also looked at some of the fundamentals that I like to check before purchasing any shares! On June 30, 2008, Robbins & Myers (RBN) reported 3rd quarter 2008 results. Sales for the quarter grew 17% to $201 million compared to $171.4 million in the same period the prior year. Third quarter earnings before one time benefit from product line sales, came in at $40 million, up 47% over the prior year. This worked out to $.76/diluted share, up from $.39/share last year. 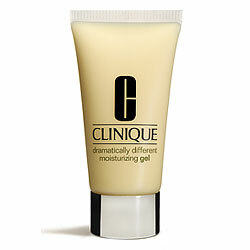 The company also beat expectations for the quarter and also raised guidance for the fiscal-year profit outlook. Checking the Morningstar.com '5-Yr Restated' financials, we can see that revenue has steadily increased from 2003 when the company reported $561 million in sales to 2007 at $695 million and $766 million for the trailing twelve months. Earnings have been much more erratic dipping from $.51/share in 2003 down to a low of a loss of $(.66)/share in 2006, reverting to a profit at $1.48/share in 2007 and $2.19/share in the TTM. The company paid $.11/share in dividends in 2003, increased it to $.13/share in 2007 and now has paid $.14/share in the TTM. Outstanding shares show mild dilution with 28 million reported in 2003, increasing to 34 million in 2006 where they remain. Free cash flow has been increasing recently from $6 million in 2005 to $49 million in 2007 and $87 million in the TTM. The balance sheet appears adequate with $92 million in cash and $294 million in other current assets. This total of $386 million in current assets, when compared to the $196.5 million in current liabilities yields a current ratio of 1.96. The company has an additional $155.5 million in long-term liabilities according to Morningstar. According to the Yahoo "Key Statistics" on RBN, this stock is a mid cap stock with a market capitalization of $1.3 billion. 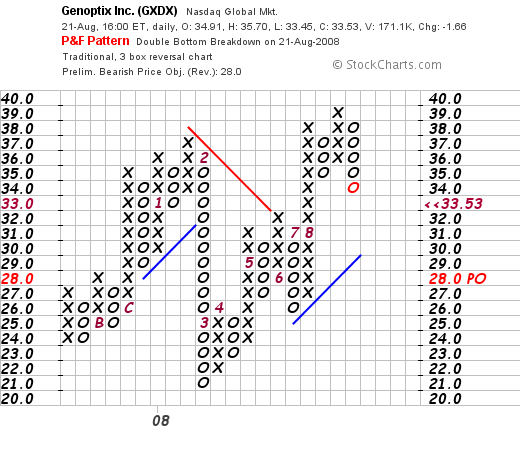 The trailing p/e is a moderate 17.15 with a forward p/e (fye 31-Aug-09) even nicer at 14.93. 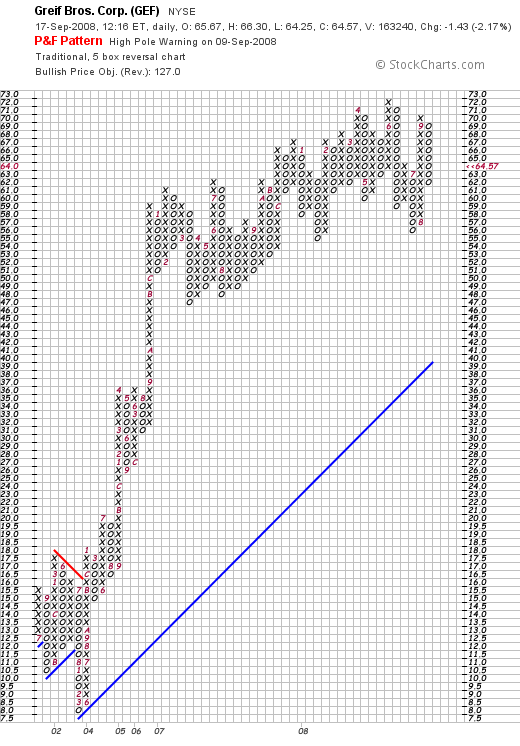 With rapid growth in earnings, the PEG (5 yr expected) works out to an even nicer level of 0.62. Examining the Fidelity.com eresearch website for some valuation numbers, we find that the Price/Sales (TTM) is a bit rich relative to its peers, coming in at 1.60 with an industry average currently indicated at 1.07. Also, when measured by the Return on Equity (TTM), the company is valued a bit steeply relative to its peers with a ROE of 16.97% compared to the industry average of 20.79%. Finishing up with Yahoo, we can see that there are only 34.62 million shares outstanding with 33.71 million that float. Currently (8/12/08) there are 2.23 million shares out short representing 3.8 trading days of volume. This is just slightly higher than my own '3 day rule' for short interest. Yahoo indicates that the stock is paying a 12 month $.15/share dividend yielding 0.5%. The company last split its stock February 29, 2008, when they split 2:1. 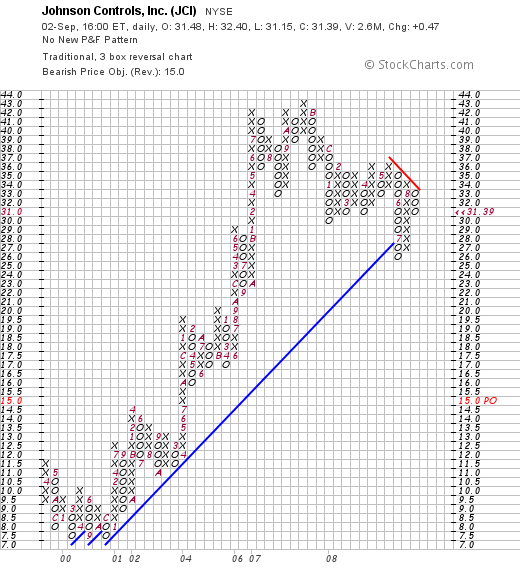 Looking at the 'point & figure' chart on RBN from StockCharts.com, we can see the steady appreciation from a low of $6.50 in April, 2003, to a recent high of $55 in July, 2008, only to see the stock dip as low as $32 this month. The stock is currenly rebounding from the recent low. The overall upward move of this stock appears intact. First of all, I exercised impatience with Quality Systems (QSII) which has already moved nicely higher this past month. I still like that stock, but wanted to see if I could avoid the apparent sell-off and instead hop onto a stock moving higher. Time will tell if this particular strategy will be successful. It is not exactly part of my usual portfolio strategy, but is something I have been incorporating into my approach the past few months. Regarding Robbins & Myers, it has suffered the same fate as Graham (GHM) which is the decline that is related most likely to the sharp correction in the oil market. If those prices continue to decline further, I may find myself with another declining stock like Graham. That probably is the biggest risk to this particular move. Otherwise, I like the stock upgrade, the recent quarterly report that beat expectations and found the company raising guidance. Furthermore, I like the 5-Yr Restated financials showing the steady revenue growth, the recent return to profitability, the fact that the company pays a dividend and has been increasing it recently and the nice results for free cash flow growth. The balance sheet appears solid and valuation is reasonable if not terrific. The PEG is well under 1.0. And the chart shows that the sharp recent correction may well be overdone. Beyond that, I shall certainly limit any downside on this stock or any of my purchases to (8)%. Hopefully, I shall be able to miss that decline and instead particiapate in the rebound in price. Thanks again for visiting. I apologize for not blogging more, but I shall do my best to continue to post on a timely basis. If you have any comments or questions, please feel free to leave them on the blog or email me at bobsadviceforstocks@lycos.com. If you get a chance, be sure and visit my Covestor Page, my SocialPicks page, and my Podcast Page. Hopefully I shall be able to get another podcast up soon. Life as an amateur can be hectic :). One of the hardest things about being a blogger, and now a Seeking Alpha contributor, is the necessity of doing everything so publicly! I just got around to posting about my 'brilliant' decision to switch my Graham (GHM) holdings into Johnson Controls (JCI) and now my entire plan is hitting headwinds. Perhaps a bit of turbulence from Gustav? It is my strategy to sell a holding should it hit an 8% loss. I don't really care whether that holding has been held for a year or 15 minutes. After an initial purchase, if that stock drops the required 8% out it goes. And Johnson Controls (JCI) hit that (8)% loss for me this morning. And I sold my shares. In fact, I sold my 210 shares of JCI at $29.5223. These shares were just purchased two days ago (yikes!) at a price of $32.0477. Thus, they had declined by $(2.5254) or (7.88)%. JCI as I write is trading at $29.47, down $(1.05) or (3.44)% on the day. While Johnson Controls has indeed been talking about steps it will take to deal with the slowdown in the auto industry and the slowdown in construction---including taking a $450 to $500 million charge to account for the cutting of jobs and closing of plants---probably the biggest thing driving this stock down today is the overall market, which as I write, the Dow is down (281.30) points at 11,251.58, and the Nasdaq is down (58.91) points at 2,274.82. The market is down even with oil showing continued weakness, trading at $107.20 down $(2.15) on the day. And with my sale on 'bad news', I shall be 'sitting on my hands' with the proceeds, waiting for one of my other holdings to hit a sale on an appreciation target, what I call 'good news' prior to looking for a new position in which to place the proceeds. Thanks again for visiting my blog! If you have any comments or questions, please feel free to leave them on the website or email me at bobsadviceforstocks@lycos.com. Graham (GHM) and Johnson Controls (JCI) "Trading Transparency"
Earlier this afternoon I decided that I could no longer 'take the heat' from Graham (GHM), which fundamentally is a terrific company, but which is trading in a very volatile fashion along with the price of oil. "NEW YORK (CNNMoney.com) -- Oil futures on Tuesday tumbled to levels not seen since early April on a strengthening dollar and concerns that an economic slowdown has crippled demand for energy. U.S. crude futures for October delivery dropped $5.75 a barrel to settle $109.71. It was the lowest oil has settled since April 8, according to the U.S. Energy Information Administration." Responding to this decline in oil prices, Graham closed today at $85.31, down $(8.09) or (8.66)% on the day. Frankly, I believe the selling is now overdone. But not anxious to continue to have my stock fortune dependent on the swings in the price of a commodity, I chose to step aside, and sold my 78 shares of Graham at $87.02. These shares had been purchased at a cost basis of $64.48 just a few months ago on 5/30/08, so I had a nice gain on these shares amounting to $22.54 or 35% since purchase. Since my sale was based on what I would refer to a 'fundamental' problem, that is the volatility in the price of oil, and not on an absolute decline (although I would have had a sale triggered if the stock had hit a 30% appreciation level), I reserved the right to substitute this holding with another stock. Since I was selling a stock due to the decline in oil prices, I thought it might be wise to purchase shares in an 'old favorite' of mine, a stock that might benefit from such a decline, Johnson Controls (JCI). I purchased 210 shares of Johnson Controls (JCI) for $32.0477. JCI closed at $31.39, up $.47 or 1.52% on the day. So I am a bit underwater on this stock already :(. First of all, JCI is an 'old favorite' of mine. I first wrote up JCI on this blog more than four years ago (!) on July 9, 2004, when the stock was trading at $53.24, up $1.97 or 3.84% that day. The stock subsequently (October 3, 2007) had a 3:1 stock split making that pick price actually $17.75/share. On July 17, 2008, JCI reported 3rd quarter results. Earnings came in at $.73/share up from $.66 and revenue increased 11% to $9.87 billion from $8.91 billion the prior year. The company met expectations on earnings and beat expectations on revenue. However the company did reduce guidance on the 4th quarter in the same announcement and reduced expectations for the fiscal year. Recently Matthew Moscardi wrote a positive piece on JCI that was covered by Seeking Alpha. Provided efficiency controls for energy delivery for cars, climate, security, lighting, and building automation for corporate real estate. History of increasing dividends since 1985. Currently deflated P/E ratio at 13, undervalued due to general economic concerns despite strong fundamentals. Avoids sector risk by offering fundamental supplies for many alternative energy and sustainable business solutions. Favorite of alternative energy mutual fund managers, including stalwarts New Alternatives Fund [NALFX] and Winslow Green Solutions [WGGFX]. But what I love about JCI is the beautiful Morningstar.com "5-Yr restated" financials. The steady revenue and earnings growth. The growing dividend. The stable outstanding shares. The growing free cash flow, and the solid balance sheet. I like that Johnson Controls is about environmental controls in our office buildings; an important part of future conservation efforts. I am excited about their potential in developing hybrid batteries. And I don't believe that the downturn in automobiles is 'forever'. 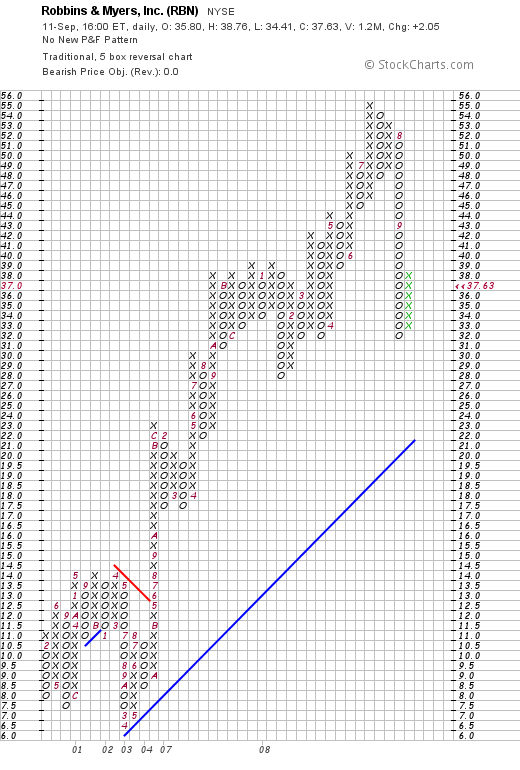 Certainly, the 'point & figure' chart on JCI is struggling to hold support. Many stocks are in this 'condition'. Will my arbitrary trade work? Time will tell. I do believe that JCI is the kind of stock I like to write about and believe that this is a reasonable entry. I may have been premature. I may have exited GHM at exactly the WRONG time. After all I am an amateur! But I feel better about JCI than GHM.